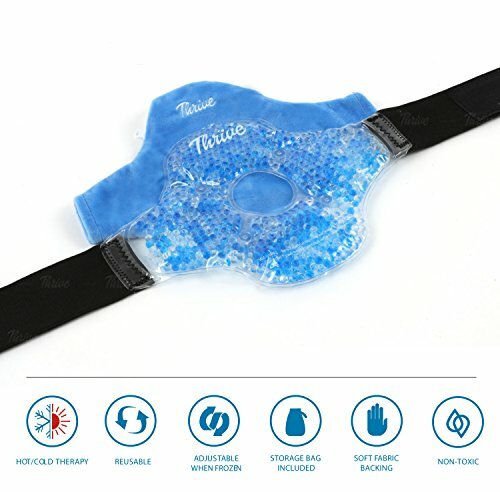 Looking for the best hot & cold Knee Wrap? Then Look No Further! 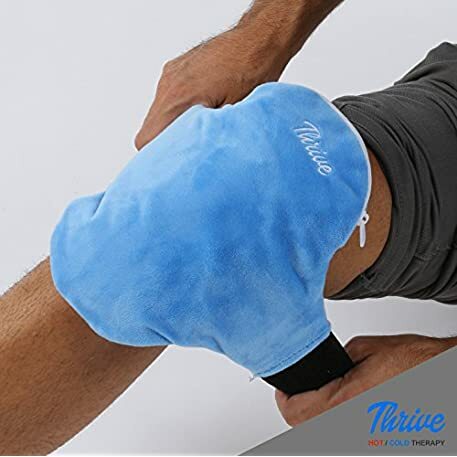 The Thrive Brand Gel Bead Hot & Cold Compress Knee Wrap + Fabric Cover is an innovative reusable product that provides both ice and heat therapy treatments. 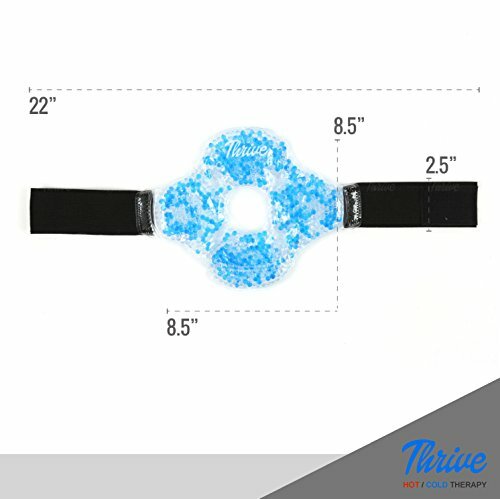 What Makes the THRIVE Brand Gel Bead Hot & Cold Knee Wrap Different? 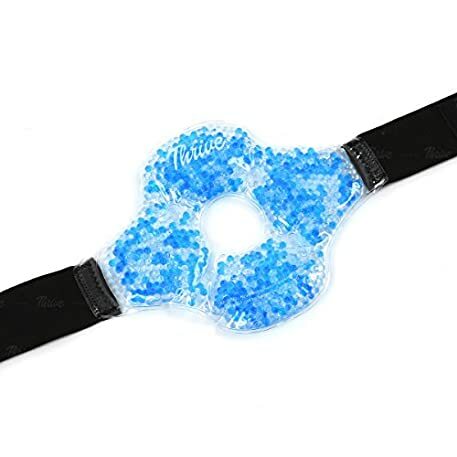 ✓ DESIGN: – Innovative gel bead technology is able to provide BOTH heat and cool therapy. Freeze or microwave the pack depending on your needs. Includes a durable vinyl pack + soft velvet fabric cover. ✓ VERSATILE: – Provides treatment and relief from common conditions, including: knee pain when bending, excess fluid and swelling, torn ACL / MCL or meniscus surgery, broken knee cap or leg bone, aching, bruises, sprains, strains, shin splints, Patella Tendinous, Iliotibial Band Syndrome (ITBS or IT), and general muscle, joint, ligament inflammation and tightness. ✓ SUPERIOR PAIN RELIEF & THERAPY: – Delivers up to 30 minutes of soothing heat or cool relief and stays pliable during treatment. Provides instant pain relief for acute problems or long term therapy for chronic issues. 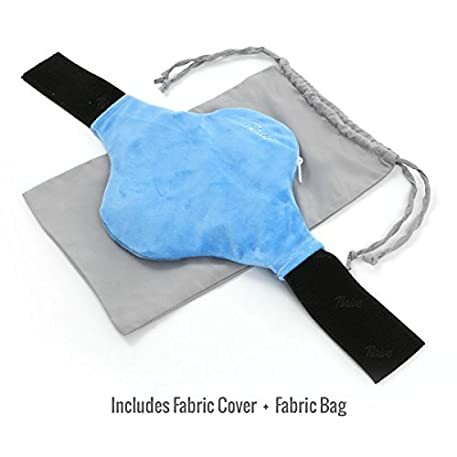 ✓ FREE FABRIC STORAGE BAG: – The gel bead hot & cold knee wrap comes in a handy drawstring fabric storage bag. This bonus storage bag is our gift to you! ✓ TRUSTED: – Hot & Cold Packs are recommended the most by Physical Therapists, Doctors, Sports Trainers and Chiropractors. Manufactured and sold by a FDA registered US company. ✓ SATISFACTION GUARANTEE: – If for any reason you’re not 100% satisfied, simply contact us for a hassle-free full refund. We are a US company that has been in business for nearly 40 years and we truly believe in and stand behind our products! 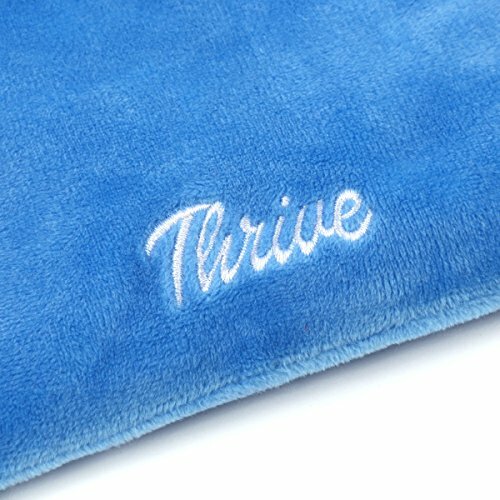 View the full line of Thrive Brand Cold and Hot Therapy Products Amazon. Thrive offers therapy packs for nearly all use cases. DESIGN – Innovative gel bead technology is able to provide BOTH heat and cool therapy, remedies and treatment. Freeze or microwave the knee pack, depending on your needs. Use on either left or right knee. The gel bead knee wrap hot & cold compress pack is soft to the touch but resilient enough to be used dozens of times. Includes durable vinyl pack with elastic straps + soft cotton velvet fabric pad cover. VERSATILE – Useful for many conditions, including: knee pain, excess fluid and swelling, torn ACL / MCL or meniscus surgery, difficulty bending, broken knee cap or leg bone, aching, bruises, sprains, strains, shin splints, Patella Tendinous, Iliotibial Band Syndrome (ITBS or IT), and general muscle, joint, ligament inflammation and tightness. Useful for exercises and sports athletes, including: football, soccer, volleyball, running, gymnastics, swimming, golf, tennis, baseball and basketball. PAIN RELIEF & THERAPY – Delivers up to 30 minutes of soothing cool OR heat relief for aches and pains. Simply place the pack in the freezer 20-30 minutes or place in the microwave machine for less than 1 minute (please read directions carefully). Provides instant pain relief from acute problems or long term stimulation therapy for chronic issues. The gel knee wrap gently provides soothing hot & cold and brace compression therapy and stays pliable during treatment. FREE FABRIC STORAGE BAG – The gel bead hot & cold knee wrap comes in a handy fabric storage bag. Made from durable polyester fabric and featuring a drawstring closure. Store the hot / cold knee wrap in the bag or use it for travel. This bonus storage bag is our gift to you! TRUSTED – Hot & cold are recommended the most by Physical Therapists, Doctors, Sports Trainers and Chiropractors. Manufactured in a modern sterile FDA registered facility and sold by FDA registered US company that has been doing business for 40 years. 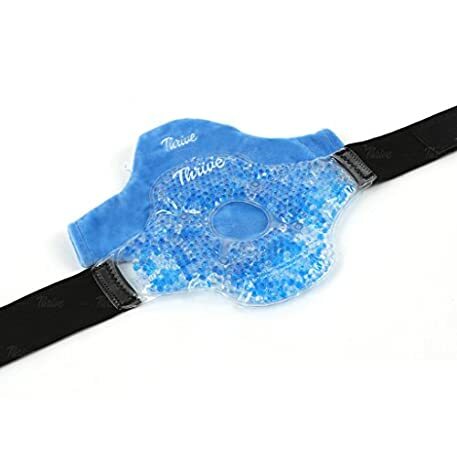 Purchasing a Thrive Brand gel hot & cold knee pack ensures a safe, sterile and regulated product. Every Thrive Brand product is backed by a no questions asked one-year warranty.